Pay attention pls:you need to jailbreak before you use the card,thanks !hope you know this before you buy it,thanks! ●With the Camera Connection Kit, it`s incredibly easy to download photos from your digital camera to your so you can view them on the gorgeous display and share them with your family and friends. 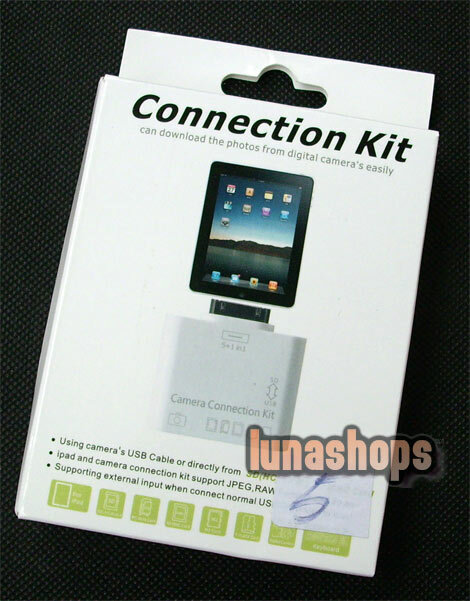 ●The Camera Connector features a USB interface. Just plug it into the dock connector port on your then attach your digital camera or using a USB cable (not included). ●Using the SD(HC), MS DUO, MMC, M2, T-FLASH card readers imports photos from your camera’s SD(HC), MS DUO, MMC, M2, T-FLASH CARDS. Connecting it to your Then inset your digital camera’s SD(HC), MS DUO, MMC, M2, T-FLASH cards into the slot. ● After you make the connection, your automatically opens the Photos app, which lets you choose the pictures you wanted to import. When you sync to your PC or the photos on your are added to your computer`s photo library. This item gives you two ways to import photos and videos from a digital camera: using your camera`s USB cable or directly from an card. 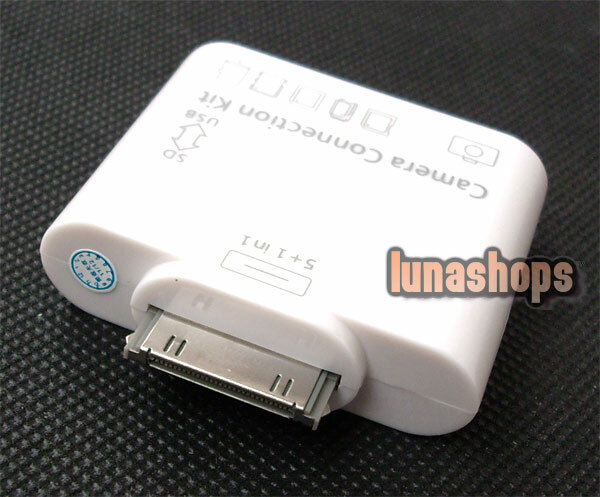 ◆Using Card slot to import photos/videos directly from your camera`s card. 1)Push the switch to the side of card slot. 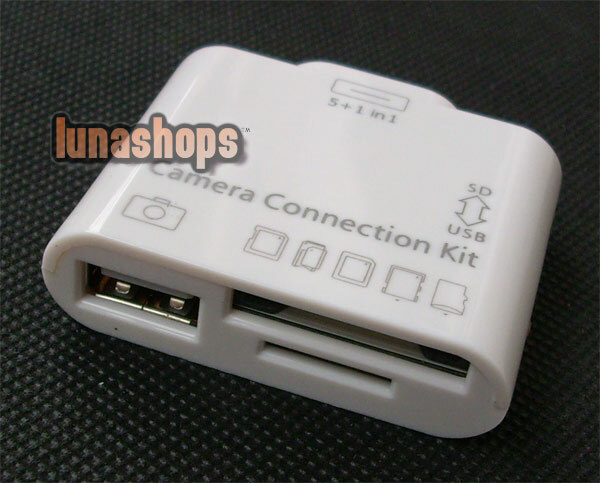 2)Connect it to your , then insert your digital camera`s card into the slot. 1) Push the switch to the side of USB interface.